ZANGLL – platform for connecting travelers to real estate owners – is launching their ICO soon. The team of ZANGLL is proud to present their project and invite everybody to join the future of vacation rentals. 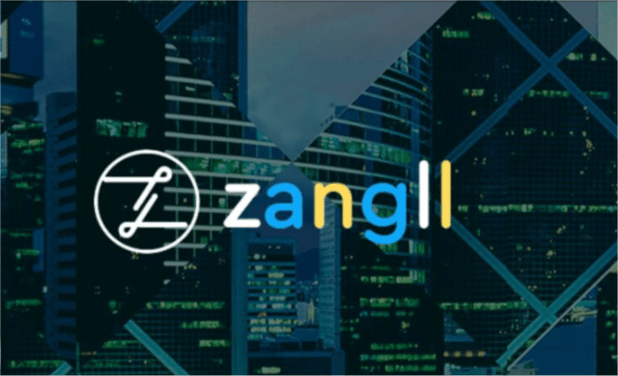 ZANGLL is a decentralized service for short-term rental of real estate, connecting lessees and lessors directly without any intermediaries. The market of vacation rentals has changed radically over the couple of years. Travelers are looking into various options while finding a place to stay. Renting a home or apartment is no longer considered an “alternative” accommodation, this option is being used both by leisurely and business travelers. It has become a serious alternative to so called traditional accommodations. But while the short-term rental market has been revolutionized, the booking platforms’ development has not followed at the same speed. That market of platform providers has been at a standstill for a while now and one can say that introduction of competition is long overdue. ZANGLL is getting into the market of short-term vacation rentals platform provider and will bring the future with it. The market has plenty of growth perspective and is just waiting for a new and improved platform. The demand is for cheaper, more transparent and faster platform – the demand is for ZANGLL. The idea of ZANGLL is to make a better, more comfortable and profitable platform to connect travelers to real estate owners. Today, with the platforms available, the commission fees in the short-term real estate rental market are 15-20%. As ZANGLL offers cryptocurrency payments (ZNGL token) there will be no commission fees but 0,45% of transaction fee from both parties. With cryptocurrency transactions, the movement of assets happens within seconds compared to today’s platform where money takes 3-5 days to reach the receiver. ZANGLL platform will also offer smart contracts, free property listing, honest ratings (inability to change or fabricate ratings), leased property insurance mechanism, a transparent system by using blockchain technology and the possibility of E-locks. Today ZANGLL is working hard on the prototype that will be released mid-November 2017. The first negotiations with future service providers are being conducted and first investors have already expressed their deep interest in our project. During the ICO 200, 000, 000 ZNGL tokens will be issued and 140, 000, 000 tokens will be distributed during crowdsale. The price of the token will be equivalent to $0,27. The goal of the crowdsale is $30 million. The value of ZNGL token will grow as both customers and property owners will have to buy and sell tokens at the exchange for mutual payments. To ensure that sufficient number of ZNGL tokens are traded ZANGLL will limit the initial sale of ZNGL tokens to 3 million tokens per person. The international team of experts at ZANGLL are confident that ZANGLL will be the number 1 platform for vacation rentals. ZANGLL – the future of vacation rentals.